Pastels for spring, you say? Not exactly revolutionary. 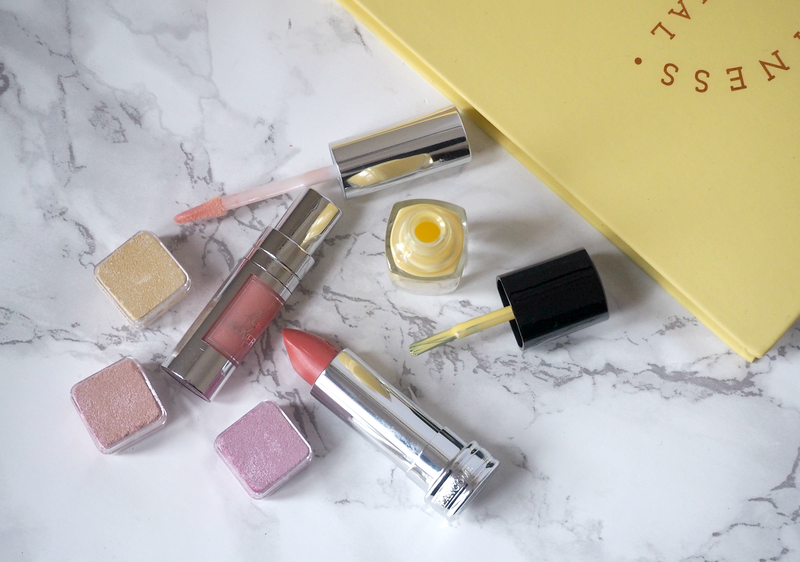 But there is definitely something about the dawning of a new season and the thought of sunnier days that makes us grabble for the baby pink lipstick and Easter appropriate nail polish shades. Lancome are one of those brands that I often admire from a distance, but their products are not often ground-breaking enough to warrant excitement that spills onto this virtual page; although they have some great staples, often their seasonal collections pass me by without a second glance. However, this spring they’ve created something that appeals to my inner pastel lover while still ensuring a collection that’s grown-up enough to justify the price tag. Not only have they given their much loved lipstick, lipgloss and nail polish formulas a little seasonal update, but created a universal multi-use cheek and eye palette that ‘pushes the all-in-one concept into a totally new dimension.’ According to Lancome’s Make-up Creative Director, Lisa Eldridge, “creativity becomes limitless” via the nine colour cubes that offer infinite combinations. 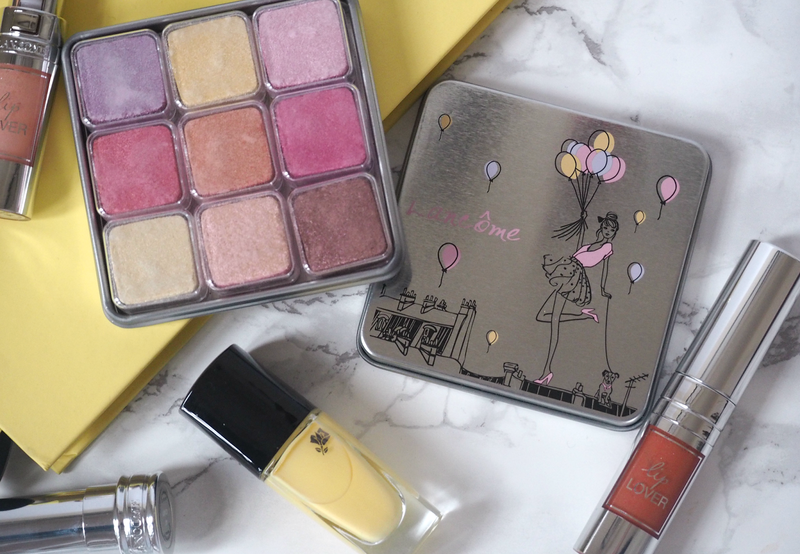 However, the nine piece ‘My Parisian Pastels’ tin is absolutely charming and a somewhat revolutionary approach to makeup, from a usually conservative brand. Although you may recognise the cube concept from The Body Shop eyeshadows of times gone by (rumour has it that Lisa Eldridge was always a fan,) these little multi-coloured cubes can be used in a multitude of ways: alone for a localised touch of colour, mixed together for a healthy-glow halo or in duos or trios for graduated pastel effects. The nine shades are divided into three corrective shades, three blush tones and three illuminating pastels, together encouraging experimentation while offering a real helping hand when your complexion needs a boost. 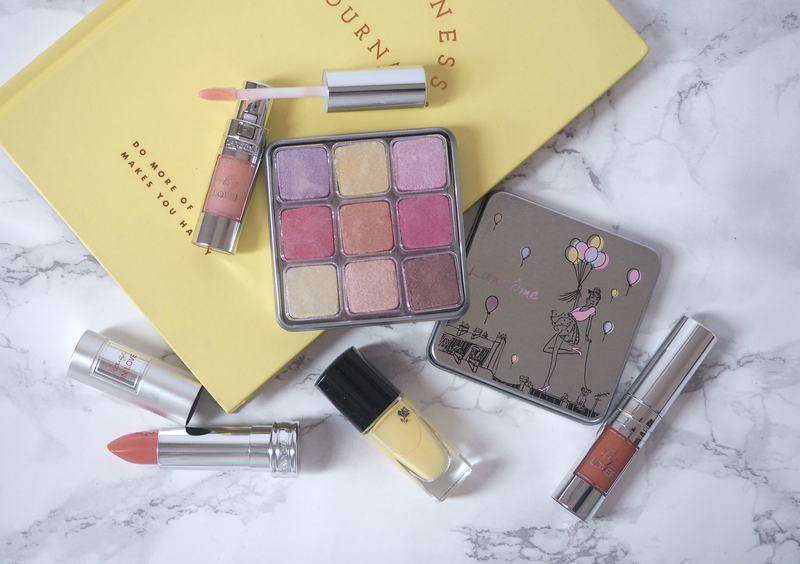 They’ve definitely not been created with pigmentation in mind, as the result is incredibly sheer and shiny, but they do work well over eyeshadows and blushes to boost colour and provide a healthy glow. If you want a little top-up of your blush, highlighter or eyeshadow throughout the day, then these are really handy. If you want to help overcome redness or dark circles around the eyes, then these shades instantly brighten and conceal without overloading the skin with concealer. If you just want an excuse to buy more pastel things, then this is it. This collection won’t be for everybody, but it’s nice to see Lancome attempting to come out of their comfort zone while remaining incredibly feminine. Unfortunately I don’t think this will be in stores so you can’t test out the shades and play around yourself, but if you’re already convinced that you simply *must have* this little tin then it’s available online right now. Just please don’t create a pink and yellow smokey eye – it’s 2016 for gawds sake. The ‘From Lancome With Love‘ collection is available now exclusively online, priced from £13.50. That tin looks gorgeous! I think next time I'll want to treat myself to something I might go to the Lancome counter. Where did you see it? I looked at 3 Lancome counters today and none of them had it. The post said it probably wasn't going to be on counter but I thought I'd look anyway as I really like the look of it. Primrose yellow eyeshadow would be fresh and pretty, I think! I agree £50's a bit steep for something you might not use everyday. Wonder if the Body Shop might do a cheaper copy?